Our research into the potential for polytunnels to support small scale farmers continues and we’re learning all the time. 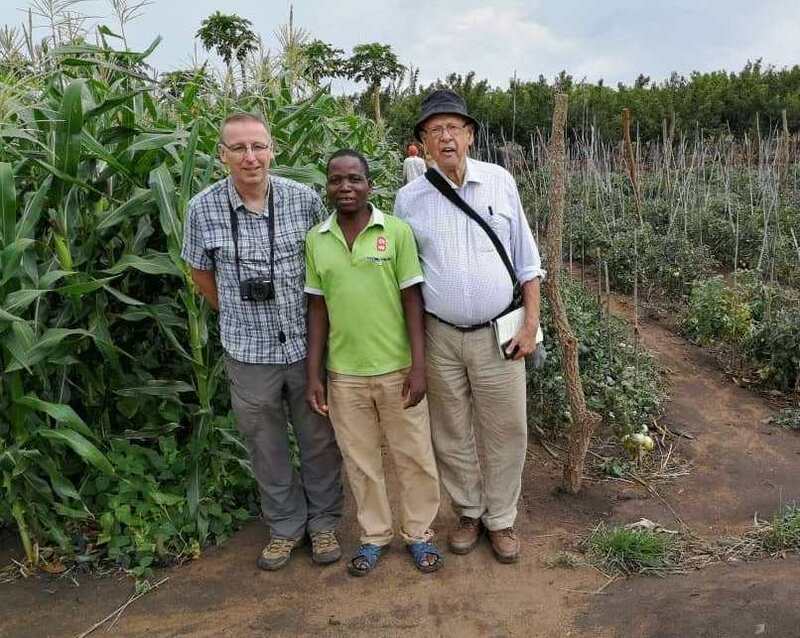 We visited a farm near Lilongwe today where they are growing vegetables commercially, and it was pretty impressive. Our polytunnels will be smaller of course, but we’re learning about construction materials, types of covering, temperature & water control and much more. We will definitely be training our farmers to grow in bags because there are all kinds of advantages. It is much easier to measure the amount of water and fertiliser going in a bag; you starve the surrounding area so there are no weeds between the bags; you can rotate the soil in the bags (rather than rotate the crop) so we can keep growing tomatoes all the time since that is the biggest demand and we have a ready market. Our ideas are taking shape and Andy German, the Farm Manager (pictured with Charles and Kevin), couldn’t have been more welcoming and helpful – a credit to his company! So we’re getting there with our project design and have a few ideas of how to raise funds to get the first greenhouses to women in the North. This is innovative in Malawi and we believe it has the power to change the lives of these women and their families by enabling them to substantially lift their household incomes.